Steel Cut Oats with Cinnamon, Strawberries, Blueberries, Maple Syrup, and Kefir. Guayusa Tea. At The Escape running a few miles on the treadmill. Chris, Ana's coworker from Trader Joe's and from my graduating high school class of '02, is here using our internet to play League of Legends. PB&J Bagel. Olive Oil Potato Chips. Honey Green Tea. Black Grapes. Running a couple errands. Found a $5 bread maker for Ana at the thrift store. In the theater room coaching a rock school band with Drew. Back home. Making Salmon Fish Tacos with Guacamole and Corn Tortilla Chips. With Ana at the table enjoying our meal. "I didn't know dinner was going to be so good," Ana exclaims. 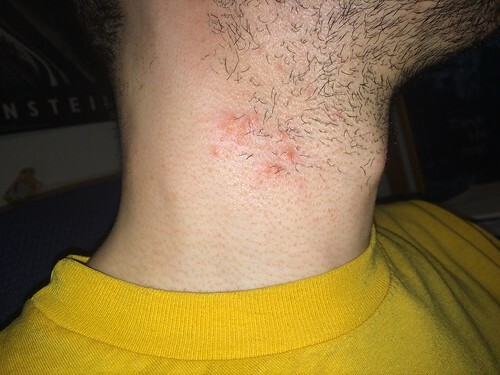 A small rash has appeared on the right side of my neck over the past couple days. It's not itchy at all but is a bit firm and tender. I have no idea why it exists. Keeping it medicated with Aloe and coconut oil/beeswax ointment. Ginger Pear Tea with ACV.